Dutch Weather, What Are You Doing To Me?! I’m Scottish. I’m used to changing weather. It is often said in Scotland that if you don’t like the weather, stick around five minutes and it’ll change. Was oot and aboot in The Dutch Boondocks and it reminded me of home. Heavy rain, rain suit on. Rain off, rain suit off. Strong winds, wishing the gears on my bike worked so I could change down. I think I did more costume changes than Axl Rose when I.saw Guns n Roses in 1992. Now I like fun weather as much as the next person, love to watch a good thunder storm from my balcony. I can even appreciate a nice heavy snowfall if I don’t have to travel but if I have to cycle some where, please, no rain if it must be windy, then wind at my back only regardless of the direction I’m travelling in. 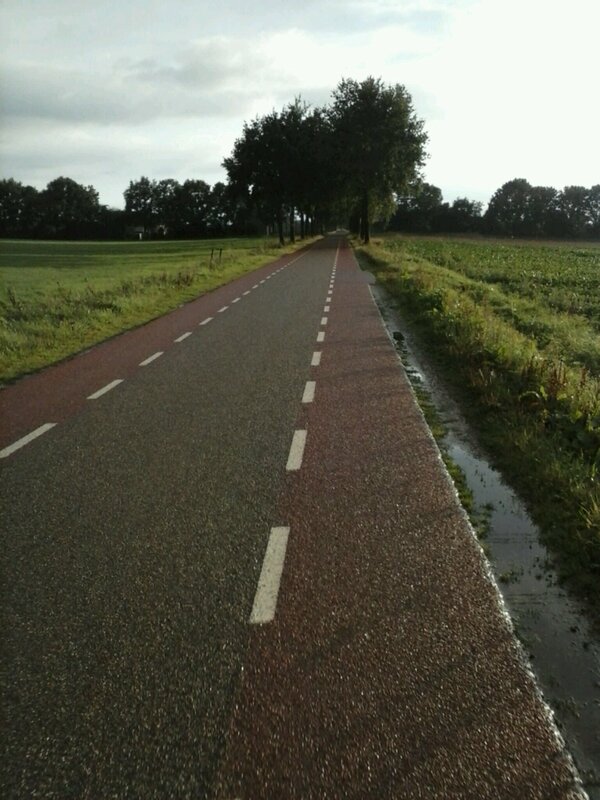 This entry was posted on Thursday, September 12th, 2013 at 7:34 pm	and tagged with Cycling, Netherlands, Scotland, weather and posted in cycling, Netherlands, Scotland, weather. You can follow any responses to this entry through the RSS 2.0 feed.